Meet our team of experienced registered dental hygienists, who along with the dentist are committed to improving each patient's health. Their knowledge and thorough care offer an opportunity to keep smiling for a lifetime! If you have a preference for one of our hygienist, please let us know and we will book accordingly. Born and raised in Regina (yes, still a Roughrider fan), Diane graduated from U of A Dental Hygiene program in 1976. She is married with three adult children, all married, so is an empty nester. Volunteering has played a large part in her life. For ten years, she has been involved in many aspects of the Alberta Dental Hygienist's Association. While her children were home she was involved with schools, clubs, choirs, bands, sports, etc. For over thirty years she has been involved in Sunday School; from teaching to coordinating and everything in between. Cooking and cross stitching make her happy, but if you ask anyone you knows her, they will tell you she loves her job! Maybe that is why she has been helping people care for their teeth for so long, and in this office since 1989. 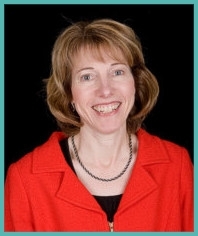 Kathy completed her Diploma in Dental Hygiene in 1982 and Bachelor of Arts at University of Manitoba in 1985. She moved to Calgary shortly after and worked in public health as well as general and specialty dental offices. She now primarily works in a periodontal office but finds time to also care for patients in our office on Monday as well as Wednesday. She has a special interest in myofunctional therapy and is available to treat patient who require it. 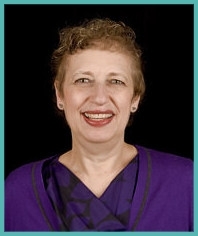 She is an active member of the international association of orofacial myologists and working toward her certification. She has been a welcomed part of our team since 1999. Aside from work, her activities revolve around family as she has a teenage son and daughter.